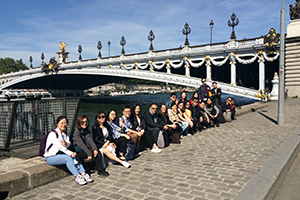 The German Center for Art History in Paris welcomes doctoral and post-doc students from Greater China for a spring seminar titled “Paris – Capital of Modernity,” which will focus on French 19th- and 20th-century art. The seminar will take place from May 9th to May 26th, 2017 in Paris at the German Center for Art History and at several museums and research institutes in the French capital. The seminar is possible thanks to generous support from the Getty Foundation through its Connecting Art Histories initiative. Paris serves as an outstanding example of Western modernism, since the city met the challenges that came with industrialization and developed a new infrastructure. The seminar’s temporal scope will be defined by the first and last world’s fairs in Paris: 1855 and 1937. The 1855 world’s fair marked the beginning of a new era, which dedicated itself to modernity; the exhibition of 1937—with, among other aspects, the strengthening of totalitarian systems on the eve of World War II and its decidedly anti-modern self-representation—marks its end. With the electrification of the city and the construction of the metro system, Paris created the infrastructure of a smoothly running modern metropolis. Modern Art flourished in Paris, and the influence of the avant-garde can still be seen today in the neighborhoods of Montmartre and Montparnasse as well as in the city’s many museums devoted to modernism. 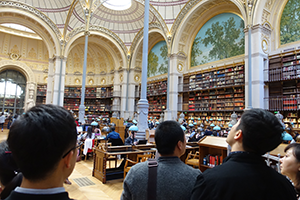 Along with visits to Montmartre and Montparnasse, the seminar will include special visits to such museums as the Petit Palais, the Musée d’Art Moderne de la Ville de Paris, the national Musée d’Orsay, and the Musée National d’Art Moderne in the Centre Georges Pompidou. These trips will be guided by specialist scholars and curators. The academic content of the program will be presented through lectures and discussions held at the German Center for Art History and through the aforementioned visits to museums, where original works of art will be examined and discussed. 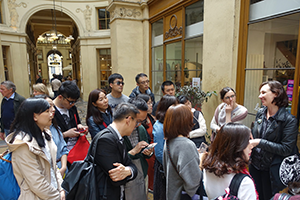 Additional site visits will include guided walks through Paris designed to help to contextualize modernity within the city itself. The seminar’s co-directors are Thomas Kirchner (Director of the German Center for Art History Paris) and Sophie Goetzmann (German Center for Art History Paris). Lecturers include Hollis Clayson (Northwestern University) and Jean-Louis Cohen (New York University). 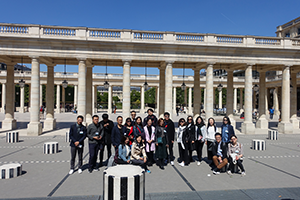 The seminar aims to facilitate dialogue between participants, lecturers, museum curators and members of the German Center for Art History in Paris and to enrich and strengthen study of French Art in China.